A couple took a muggy Pennsylvania June as their opportunity to get away to better weather. However, while they were on vacation, the father checked on the home with his smart phone and noticed some strange readings. According to his phone the humidity levels were at a concerning high level. To put his mind to rest he contacted his neighbor and asked him to please go over and check for any suspicious activity and more importantly make sure everything was okay. When the neighbor entered the home, he noticed everything was not okay and the house was completely flooded. Water was seeping down from the walls, the ceiling and the floors were completely drenched in water. He immediately notified the family to inform them of the flood in their property. When they got back to their home, they contacted Cityline for emergency restoration services. When we arrived, we determined the water originated from a broken pipe in the bathroom located on the second floor. Our field team assessed the damage in the home to determine the amount of reconstruction that would be needed. Sadly, the damage to the home was severe enough that we needed to completely strip away all the effected walls in the entire home. That same day, our highly-trained technicians began with the water removal process. 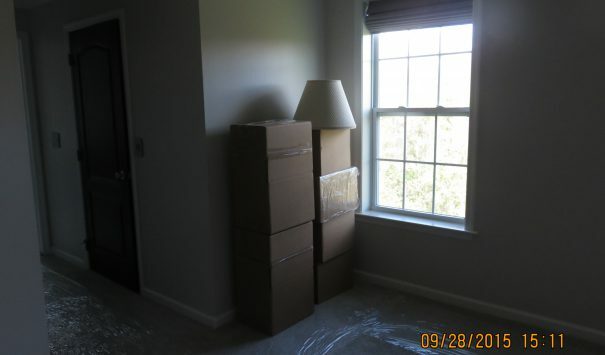 Our primary objective was to avoid any further damages because of water retention. When we finished the water removal process, we used dehumidifiers and air movers to dry out the property in addition to removing the bacteria and other health hazards that were in the air. With this completed we proceeded with a decontamination process to prevent future problems with mold build up. We then moved out all the family’s salvageable furniture and belongings and moved them in our offsite storage facility while we worked on the home. Unfortunately, most of the items were damaged beyond repair. We worked with the family to create a content list of the items damaged beyond repair in the flood so they could be recuperated for their lost. While we worked on the home the family stayed in a nearby town house making it easy for them to commute to and from work. 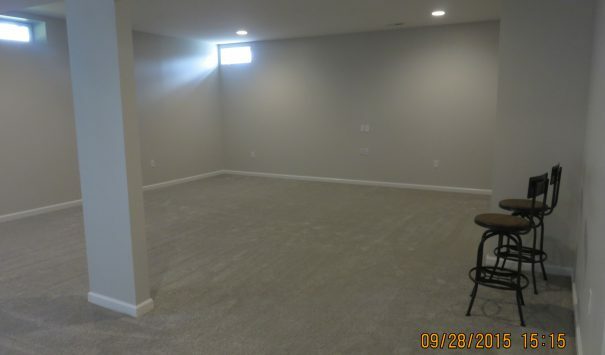 Taking you floor by floor, in the basement we started by removing the damaged flooring in the basement and replacing it with plush carpeting. 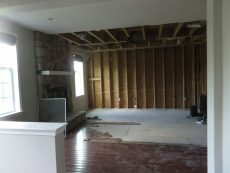 We tore down the dry wall and added new dry wall. 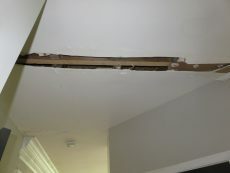 The ceiling also had to be reconstructed to avoid mold build up. 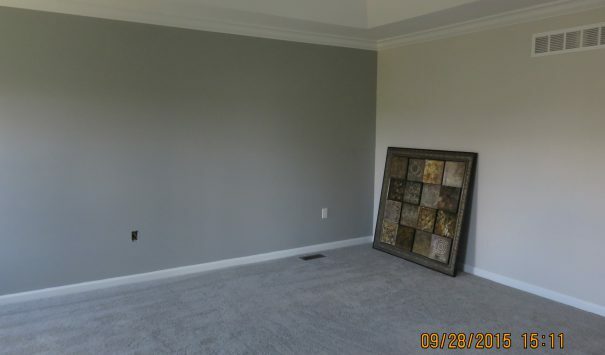 We painted using beautiful earth tone colors creating a calm setting. The colors went splendidly with the tiling in the bathroom, as the whole level flowed together harmoniously. Moving you to the first floor of the house, we determined that the walls in the kitchen had to be torn down, and the flooring gutted. 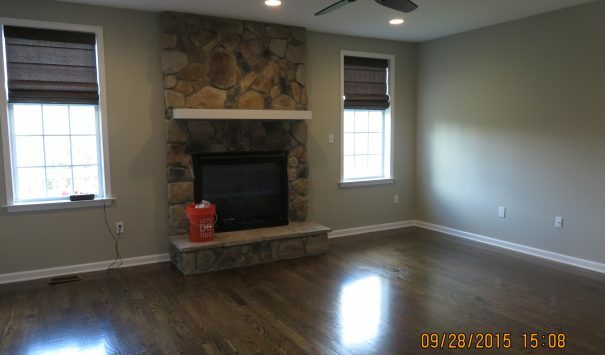 We replaced each of these with new drywall and elegant tiling respectively. We also replaced the damaged cabinets with new cabinets. To complete the look, new light fixtures in the kitchen gave the room a warm feeling just the way it felt before the damages the flood created. 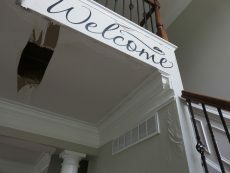 The walls by the stairway were removed and replaced with new drywall and a fresh coat of paint. The hardwood floors throughout the first floor were also pulled up because of the extent of the water damage. New, dry flooring was installed in its place. On the second floor, we tore out the carpet and the walls in the hallway and installed a new. 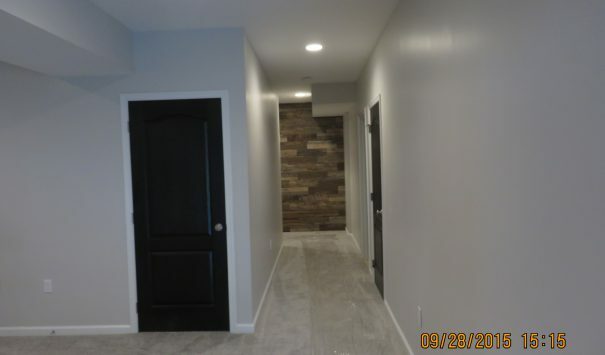 We made sure that the new walls and floors complemented one another. In the bathroom where the leakage originated all appliances had to be removed and re-installed. To help prevent future leaks in the home we removed all copper piping and replaced it with plex piping. Once we were complete with the restoration in all the rooms of the home, we moved the family’s contents back into the home and into their proper places. When the couple moved back into the home it felt like coming back to a clean and improved setting after a very long vacation. They were very pleased with all the work we achieved and the help Cityline provided through our services.